Water Witches are sometimes called Sea Witches, but many of them find a calling with inland creeks, rivers, and lakes. It is rare for them to limit themselves to any one type of body of water. They generally align with all forms, including rain. In most mythologies, human sprang from the Earth, but the gods themselves came from water. Egyptian theory states that the sun god Re was born from the primordial waters. Today, scientists can back that theory, NASA scientists theorize that water exists in heavy quantities in the universe. It works as a coolant. The water vapors in outer space for the condensing of clouds. Once a cloud condenses enough, it becomes a star. Water reflects, the Water Witch does the same. If you yell at her, she will yell back at you. If you are kind to her well, she will be kind and treat you well in return. She is very fair. She shares many qualities with her sister Earth Witch, as the Earth is 90 percent water. Among those qualities is the core belief of taking complete responsibility for her actions. The Water Witch accepts that every move she makes can cause ripples across the surface of the water and moves accordingly. Water is considered a feminine force, and the Water Witch may prefer an alliance with the Goddess, all the while recognizing and maintaining that the God is within the Goddess. She cans sometimes relate closely to Dianic Witches in this preference. The Water Witch can see things that those on other paths cannot. In fact, the human sense of sight belongs in her realm. Just as the seas teem with life that we have yet to discover and understand, the Water Witch know s that there is much more to our world than what is within our eyesight! While she can be highly superstitious, for the most part she simply knows that there is more just waiting to be discovered, as well as some things that humanity has known about and forgotten over the ages. The old phrase “out of the blue” speaks volumes about the ability of the Water Witch to tune in to her intuition. She is often very gifted in divination practices. Tarot is usually her divinatory tool of choice, but she also has a talent for dowsing. The Water Witch sees little that she considers an obstacle. She understands that her fate is in her hands, and if she cannot flow through something, she will flow around it. Once her mind is made up, very little can stop her from obtaining what she wants. Because water exists in three forms on Earth, The Water Witch can be considered a formidable force. She will not admit to any weaknesses. The Water Witch has a close link to the feminine side of nature. She understands reproduction and is akin to her sister Earth Witch in this manner as well. Menstruation falls in the realm of the Water Witch. Because of this, she is instrumental in moon-lodge practices and coming-of-age rites. Her sister Earth Witch may focus more on the rebirth cycle, while the Water Witch is more in touch with creation. 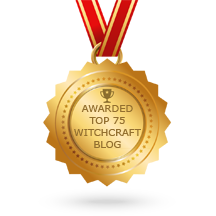 The Water Witch specializes in healing, cleansing, beauty, emotions, intuition and energy. Her magickal style is usually based on instinct. If the feeling hits her to perform a cleansing, she will. She does not necessarily worry about correspondences and timing. Her timing is completely her own–she will not be rushed by others into decisions or action. Schooled in water magick, ice magick and snow magick, the Water Witch can tell you all about the role of water in the metaphysical and physical realms. Winter is the season when the Water Witch’s power is at its peak. She holds within herself the ability to transform fluidity to solid form during the winter, the same way that water turns to ice. It is during this season that the Water Witch should turn her view inward and evaluate her goals. She often redefines herself through the process. Because of this, a Water Witch grows stronger every year. She understands that just as dry ice is sticky, it is her role to hold thing together. Throughout the winter months, the Water Witch is abnormally busy, even for her active lifestyle. Because she is at her highest power and incarnated in all three of her forms during these months, she may be short of temper. When you add to that the fact that artificial heat (fire, an evaporating influence on water) is usually pumped into the home during this time and families tend to be cooped up in the same space, you may have one cranky, stressed-out Water Witch on your hands. She longs for room to spread out and flow. A simple snowfall can ease her mind and soothe her spirit; she draws strength from it. If that is not an option, a long bath or a cup of hot tea usually helps. Rest assured that if you visit her in the winter months, she will be a very gracious hostess, regardless of the timing. The Water Witch is known for her generous hospitality. Her home décor is usually unthemed, with whimsy being the main rule. The Water Witch may have a quirky collection of glass objects, prisms (she tends to like sparkly things), tons of throw pillows and an aquarium. Cool blues and greens are often primary colors in both her wardrobe and her home. Due to her busy lifestyle, the Water Witch frequently has to let the housework slide somewhat. Although she prefers all things to be clean, she also understands that there must be “salt in the sea.” In other words, a small amount of dirt is inevitable, and she is able to live with that comfortably. She absolutely cannot stand clutter, though. It drives her to distraction. Another common trait of the Water Witch is a quirky sense of humor. It simply cannot be defined. Some of the things she says seem to come from outer space in their relation to the topic, yet they can make you laugh as nothing else will. This is intentional–the Water Witch is lighthearted. But just when you begin to think she has never had a deep thought in her life, she will prove you wrong. When it comes to serious conversation, the Water Witch can often put her finger on an aspect of the situation that the other Elemental Witches do not see. The Water Witch is very wise. Like her mythical brethren the mermaids and water nymphs, the Water Wise tends to love long hair. She may keep it pulled back in a ponytail due to a lack of time, but she lets it grow nonetheless. The effects that water has on the body are directly in line with the metaphysical attributes of the Water Witch. Usually beautiful, she is often younger looking in appearance than in age and has a long memory and attention span and bright, shining eyes. Because the Water Witch always considers every side of an argument before making up her mind, she may be slow to assume a position. Rest assured that when a Water Witch states her opinion., it has been well thought out. She open-minded and fair. Her strength lies in her dual nature an a ability to see the points or view of others. And like water, she will find her way into all of the small nooks and crannies of a situation. She may initially choose an answer based on instinct but if new facts come to light, she will often change her mind. She is flexible. Those on the water path often find a calling in helping others. They make wonderful therapists, psychiatrists, obstetricians, pediatricians or service personnel. Often people are attracted to their soothing nature and come to them for advice. Like a waterbed, a reflecting pool , or a relaxing bath, Water Witches project an aura of serenity and comfort. The Water Witch may be seen as moody, but like the sea herself, she is often in motion. She rarely slows down She is full of energy and always on the go. And like the sea, her moods swing with the tides. The moon holds sway over the tides, and one can easily draw a parallel between the moon and the Water Witch’s emotional patterns. Posted on February 11, 2012 by ladyoftheabyssPosted in The Water WitchTagged Earth, Goddess, Magick, NASA, water, Wicca, Wiccan views of divinity, Witchcraft. Wow…so much in this article seems to describe me. I’m still trying to find my path…somethings that I read, or try, just seem artificial to me. But this, this made everything in me yell – Yes! I too have been searching for my path, though I’ve had a strong feeling it was water. This too describes me to a tee. Thank you for sharing these beautiful words, they reflect so much of my experience. I am a man. But, this is how I live my life. Can I be a water witch too? You are a person so yes you can be a Water witch. Blessed be brother. I found this just through curiousness. I came across something on water magick and witches and i wasnt aware that it was an actual thing. BUT here is the weirdest part, I am NOT a witch (*not that the pagan path/witch craft hasnt called to me) but this literally describes me as a person in general. its kind of creepy. what does that mean exactly. I am NOT a witch, especially not a water witch, but this is me minus the spells. explanation? I am able to remove bad energy from people ( reiki style ) but I feel like I am missing something in my life. I have been on the hunt to try and find it. When I read this article, I noticed how everything in this is ME !! seriously. I am a water baby and I always feel the urge to have water around me. I would really love to follow this path, but I do have much learning to do. Is there anyone who is willing to help me with my path? This is absolutely beautiful. I have just started my journey on finding which path I want to take with being a witch. Thank you for this! Oh I found one thing that does not hold true for me personally: ” The Water Witch can be considered a formidable force. She will **not admit to any weaknesses”. So this part is not true in my case…could this be perhaps because of the “societal sludge” I must overcome, and if so, how can I do that? Thanks again. I have these dreams sometimes, sometimes they come true, sometimes they do not. Last night I had a dream a water witch was trying to tell me something–I’m trying to figure out the name of the water witch that was said in the dream. It sounded like she was quite old and quite experienced, famous almost, but she was never present, except for those who spoke of her. Any ideas? I am new to the way of the witch, so I am not not familiar with many things. Any insight is appreciated–thank you! Thank you for your question. Now I am going to pick your brain to see if we can find some answers. Ok? How do you know this person appearing to you in your dreams is a witch, especially a water witch? Could you sense her power or did she tell you she was a witch? I am curious because witches don’t generally reveal themselves. 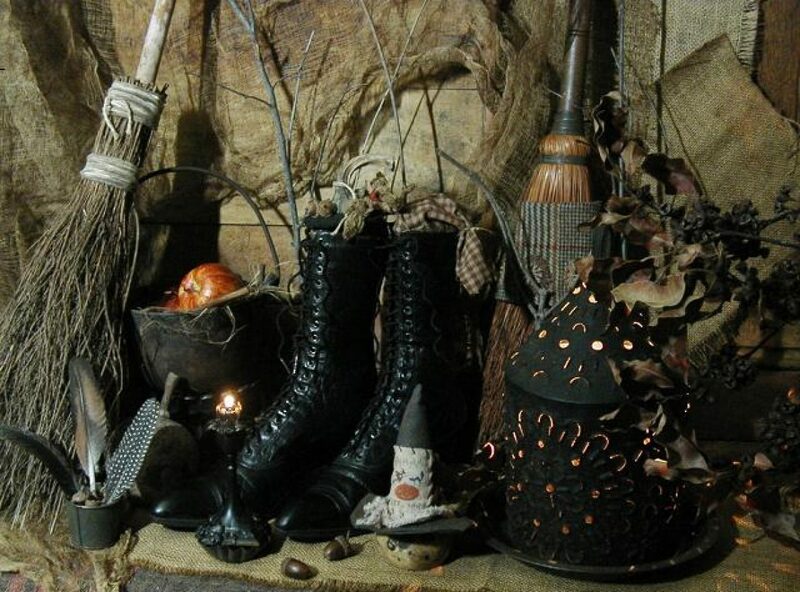 Do you have a history of anyone in your family being a witch? Most of the time the dead or those who have passed on, contact the living through dreams. When this happens they are trying to communicate with the living for one reason or another.